MobileSyncSoft by TeamOne Studio > Knowledge base > MobileSync Software – It makes your life more easier. Are you searching for a seamless & easy to use Android file transfer to windows PC solution? Imagine how much easier life would be if all your android phone captured photos and videos during your vacation are all automatically transferred to your Windows PC at the moment when you STEP INSIDE your home! MobileSync software provides automatic files and text transfer functions over Wi-Fi between Windows computer and Android devices in local network. The system consists of a MobileSync Station software running in Windows computer and a lightweight MobileSync App running in Android device. MobileSync software can be downloaded at Products page. Setup once and this Windows/Android file transfer tool is ready to serve. 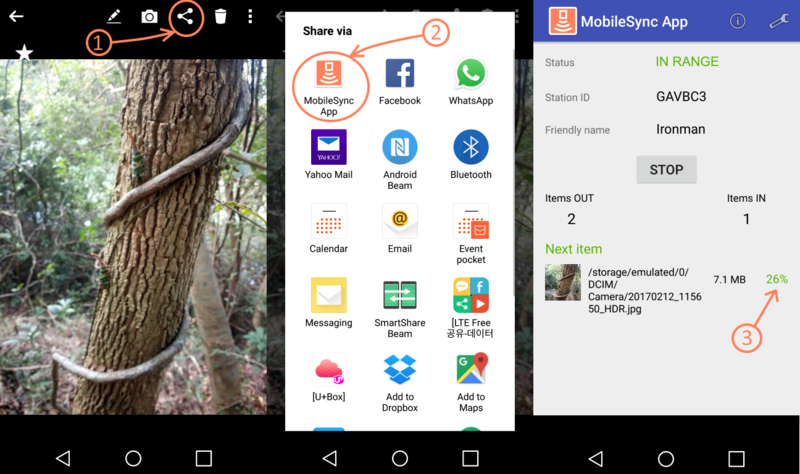 Any files can be easily transferred to Android device by simple drag and drop operations in MobileSync Station running in Windows. 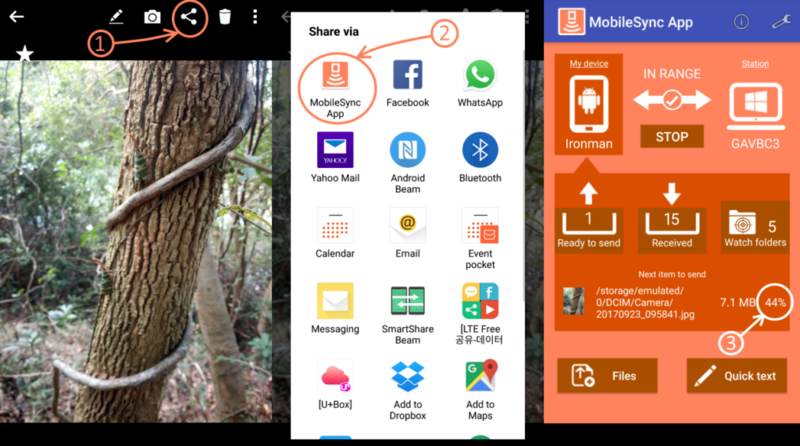 Similarly, files in Android can be transferred to Windows by Android Share menu. Android users can also assign any folders as “Watch folders” in MobileSync App. Any new files created in those watch folders (e.g. a photo is taken and saved in Android camera output folder) will be added to transfer list and the files will be automatically uploaded to MobileSync Station once connected in same local network. As MobileSync software targets to make life more easier, an optional feature in which you can schedule the files to be automatically removed from Android device after successful transferred to Windows PC. This allows you to save time and free up storage space from your smart device.